Need Roof Repairs? You Should Hire an Easton Roofing Company | Boss Services Inc.
One of the first things you should do when you discover that you need a roof repair or replacement is to contact a trusted local Easton roofing company to come out and perform an inspection. Make sure that the company you hire is a licensed and insured contractor in Massachusetts. Depending on the type of roof that you have, there are some pretty common ways that issues can occur. This helps roofing experts, such as the team at Boss Services Inc. residential remodeling and renovations, determine the cause of the problem and the method required to get things fixed up right away. Don’t put off calling in an expert for roof repairs. Even a tiny issue can become a big problem after just one rain event. Living in New England, you should know that the weather here is nothing to take for granted. Take a look at some of the typical causes associated with roof leaks and other issues that require repair. Most roof damage is very similar to other types of room damage and is caused due to the same types of situations. Hiring a professional repair and installation expert can help you to get everything working the way that it should. If you are having a problem with your residential roof, such as an indoor leak or a problem that you are able to see just by looking at the structure, contact an Easton roofing company that you can depend on to set things right. Take a look at the list below so you will know what to look for when checking out the status of your roof. If you have any of the issues below, contact Boss Services, Inc. residential repair right away to get one of our technicians to your property. 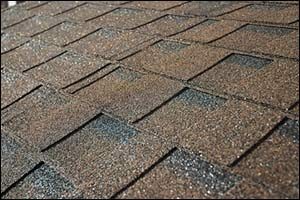 Missing Shingles – A home with a shingled roof will often have problems with shingles that blow off or go missing, especially of the shingles are made of lighter materials. However, even heavy shingles can just peel up and blow away. If this happens you need roof repair and replacement shingles right away, as your underlay and roof deck will be exposed to whatever else the storm brings your way. Pipe Flashing – Your roofing material covers the spot where your vent pipes connect to your house. In most cases, this space is well-sealed during insulation by your Easton roofing company, but it can come loose due to corrosion or sometimes the sealant breaks away and allows water to get inside. Again, you will want to contact a licensed and insured contractor to come out right away and make this repair before more damage occurs. Chimney Flashing – Similar to vent pipes, the sealant around your chimney can become compromised over time, causing the flashing to pull away from either the chimney or the roof, especially in high winds. Contact Boss Services Inc. residential roofing repair to get this fixed to prevent serious leaks and damage to your home. Ice Dams – This is par for the course in New England. An ice dam is formed when melted snow re-freezes on your roof. Poor insulation can cause this to happen, but sometimes it just happens due to typical northeastern weather patterns. If it is not remedied right away, the ice dam creates a wall that blocks the path of runoff to the gutters, causing other issues to occur. Make sure to take care of ice dams right away and hire a licensed and insured contractor to check your roof if you notice any problems. Valleys – These are the small gutter areas that are all over the various angles on your roof that allow water and debris to make their way down and off of your roof. The flashing in this area can become damaged over time if they are not properly cleaned, if shingles start lifting up or if fungus begins to build during the wet season. Have these checked by professional roof, repair and replacement specialists in the spring to make sure that they did not get damaged over the winter months. Looking for Roofing Services in Easton, Massachusetts? If you are in need of roof repair or replacement, or are interested in getting an inspection by a licensed and insured contractor, look no further than Boss Services, Inc. residential roofing and remodeling company. We provide a wide range of remodeling and renovation services to homeowners throughout Massachusetts and have the skills, experience and equipment to be your Easton roofing company, regardless of the type of work you require. From minor repairs and inspections to complete roofing replacements and upgrades, you can trust Boss Services, Inc. with your roofing needs. Give us a call at (508) 297-0635 to get a QUOTE on any of our professional services.